What do you look for in a camera bag? Versatile – lots of pockets and places to put stuff that is easily accessible. Travel well. Spacious – hold my body and 4-5 lenses. One lens would be replaced by a flash (when I own one and decide to carry it…). It needs to hold my laptop and various cables, notebook, pens, etc. so I can have a single bag when I travel. Protective – don’t let me break my stuff. Please. Comfortable – my equipment felt more comfortable to carry in the Ona bag vs. my current LowePro 202 AW, and actually felt lighter. Also, don’t have fiddly designs – be simple and easy. So that’s my list – what do you want in a bag? What do you love and/or hate about the bag you have now? Traditional, messenger or backpack? This entry was posted in Equipment and Upgrades, General Photography and tagged Billingham, Camera bag, canon, Domke, Messnger, nikon, Ona, photography, Snoop Camera, Timbuk2, Union Street by Lee. Bookmark the permalink. I do alot of hiking and horseback riding, so a backpack type of bag is what I find to work best for me, it even has a place for a 17” laptop if I felt the urge to carry one. 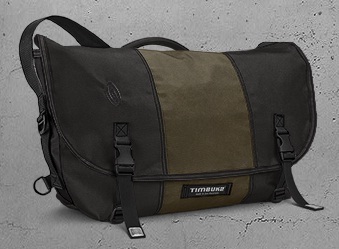 I roll with a ThinkTank Photo Street Walker Pro bag. I love it. It isn’t quite handy enough to shoot from the hip and grab out of the bag BUT it holds everything and is very, very durable.